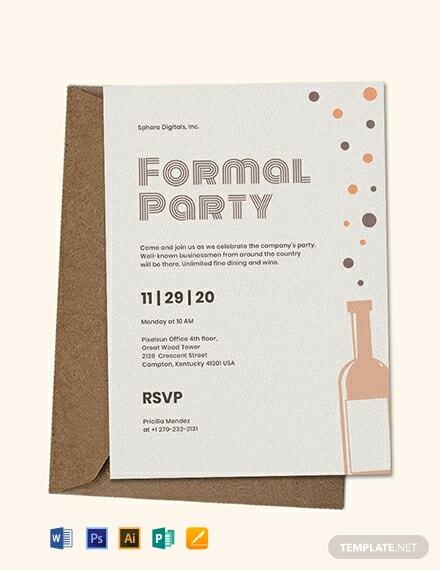 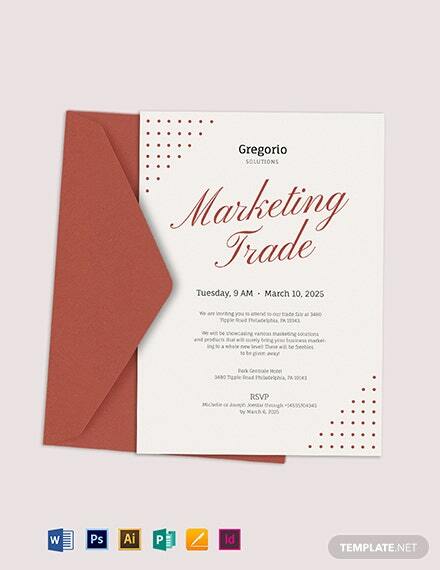 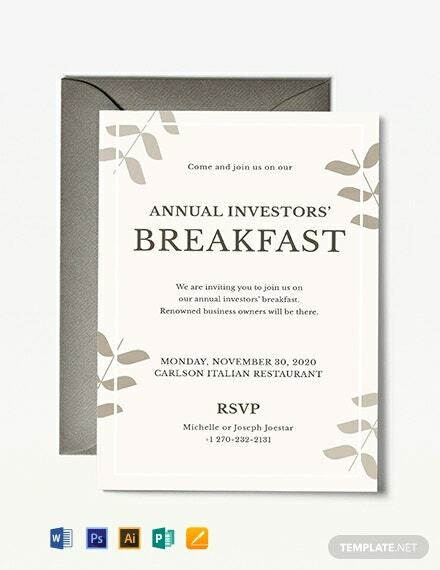 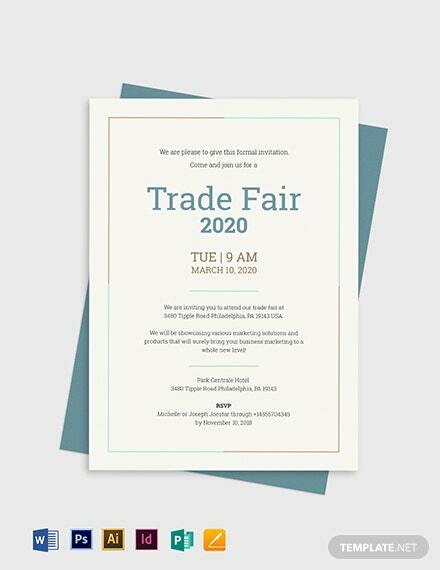 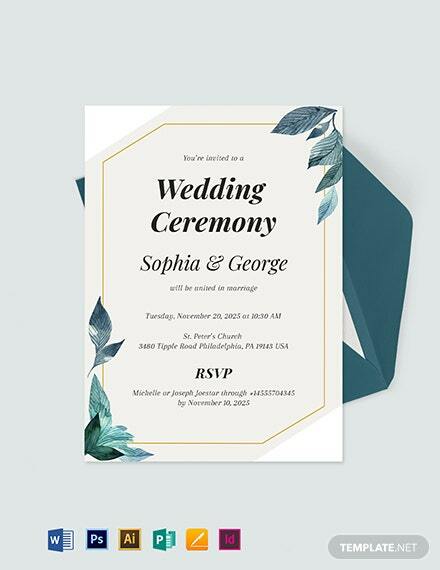 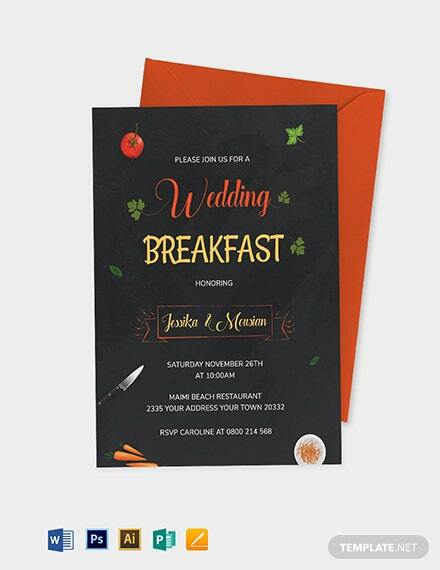 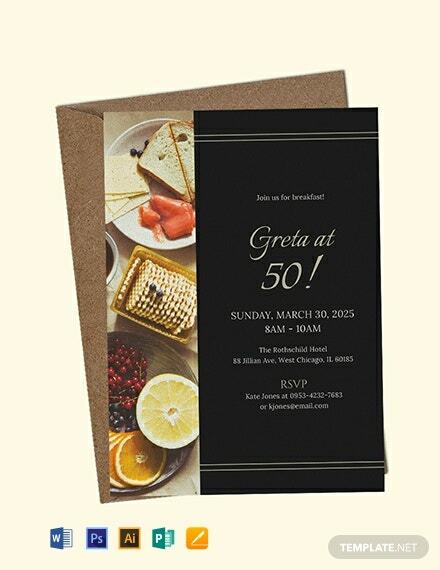 Download this template to create a high-quality invitation for your breakfast gatherings. 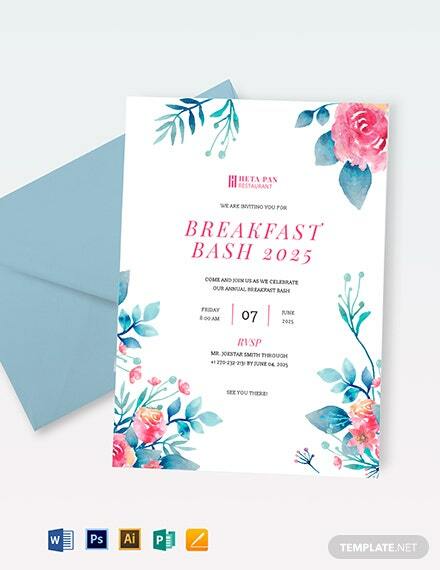 This is perfect for formal company breakfasts and other similar events. 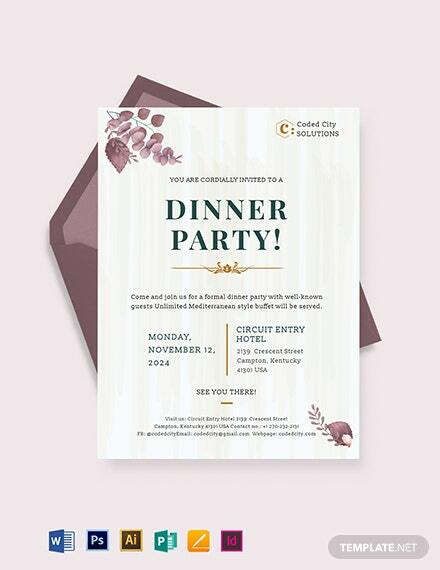 Printable and can be downloaded for free.